THE Zimbabwe Broadcasting Holdings (Pvt) Ltd (ZBH) has petitioned the High Court seeking an order to evict Blackbury Enterprises from its premises, accusing the latter of occupying its premises without consent. According to court papers gleaned by NewsDay, the national broadcaster filed summons at the High Court seeking to evict Blackbury Enterprises from number 1, Northend Road in Highlands, Harare. In its declaration filed alongside the summons, the national broadcaster said it was the owner of the property in question, but Blackbury (Pvt) Ltd was occupying the premises against its will. “The plaintiff (ZBH) is the registered owner of the premises at the Broadcasting Centre, number 1 Northend Road, Highlands, Harare. The defendant (Blackbury (Pvt) Ltd is in occupation of the premises against the plaintiff’s will more particularly at the time when this action was instituted. 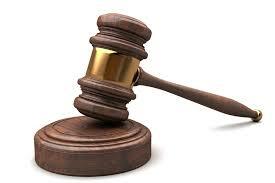 The defendant is in occupation and possession of the said premises wrongfully,” ZBH said. “Despite demand, the defendant has neglected, failed and or refused to surrender vacant possession of the premises to the plaintiff. Wherefore, the plaintiff prays for vacant possession of the premises occupied by the defendant at the Broadcasting Centre, number 1 Northend Road, Highlands, Harare, within seven days after the defendant is served with an order to vacate,” ZBH said. The national broadcaster also said it is seeking another court order “directing and authorising the Sheriff of Zimbabwe to evict the firm and all persons whatsoever claiming right of occupation through it from the premises”.